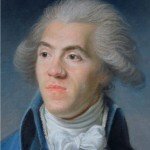 Antoine Barnave (1761-1793) was a French lawyer, moderate politician and compelling public speaker. Born in Grenoble, south-eastern France, Barnave was educated by his mother before obtaining a law degree. He showed revolutionary sentiment from a young age, penning an influential pamphlet in 1788 that earned him a trip to the Estates General. Like many of his colleagues in the National Assembly, Barnave was a constitutional monarchist; he believed Louis XVI could be persuaded to relinquish his absolutism and ‘educated’ in ruling a constitutional system of government. Barnave was an important figure in the Jacobin Club during its constitutional period (1789 to July 1791), writing the club’s rulebook and serving on its leadership committee. In July 1791, following the Champ de Mars massacre, Barnave and several of his followers broke away from the Jacobins to form the Feuillants, or ‘Friends of the Constitution’. Believing her support was essential to the success of a constitutional monarchy, Barnave began corresponding by letter with Marie Antoinette. Unable to convince either the king or queen to support the revolution, Barnave retired to Grenoble. 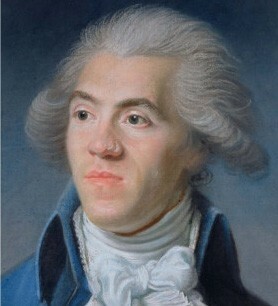 In August 1792 he was arrested and imprisoned on the order of the Legislative Assembly, following the revelation of his exchanges with the queen. Barnave was brought back to Paris during the Reign of Terror, put on trial and guillotined in November 1793.